The Munising Front and Rear Range Lights on Sept. 23. 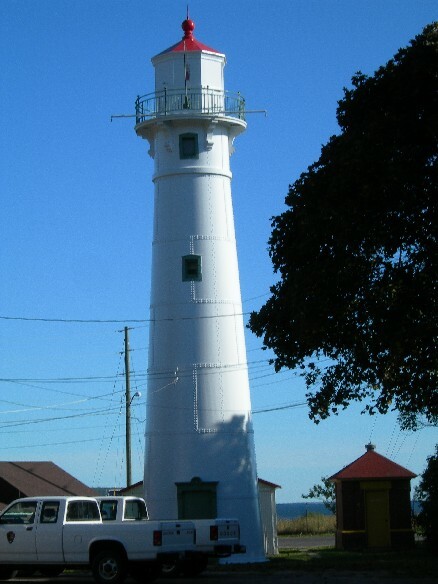 This was not one of our grant projects, but the structures were repainted this summer and are looking good. 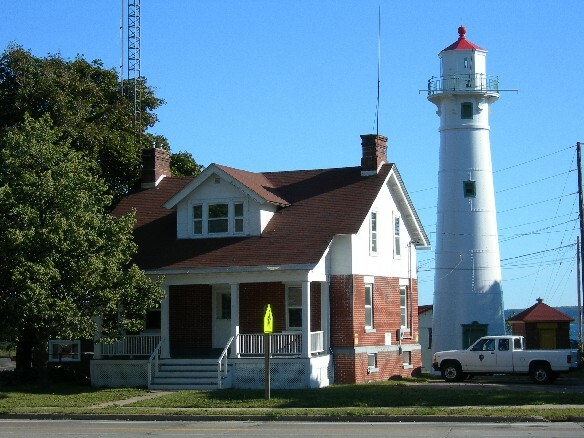 My grandparents house is located just below the rear range lighthouse. We loved taking trips to the U.P. to spend time in the hills by that lighthouse. 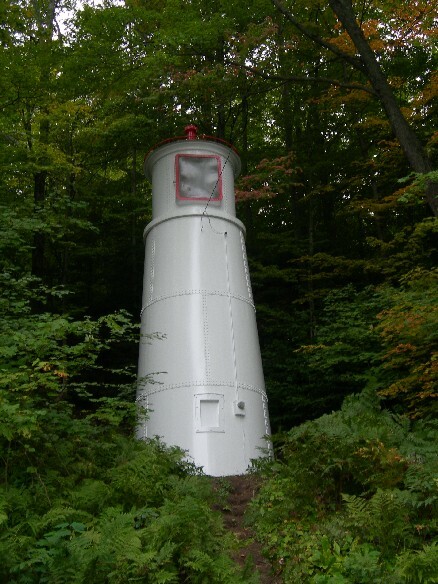 My grandparents are no longer alive, and we rarely stop in Munising any more, but it is nice to see that there is fresh paint on the Range Light. One of these days, my husband and I will have to stop at grandma’s old house and tell the present owners how great it was in the “old days” to play in those hills.